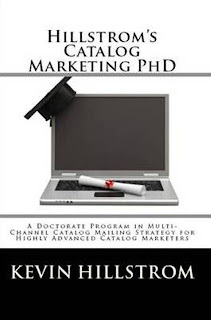 One of the most interesting findings in my Catalog PhD projects (Print / Kindle) is the evolving nature of channels. You remember the "multichannel era" ... i.e. 2000 - 2005 ... everything had to be linked together, integrated, in harmony, a direct response of the "wild west" internet of 1995 - 2000. The evolution of the internet seems to have changed things. It increasingly looks like 2005 - 2010 was a "sorting out" period ... customers found the channels that worked best for them. In 2011, customers appear to be more "set" in their ways, as is evidenced by the Migration Probability Tables that I run. Catalog / Telephone: The 55+ rural audience really sorted themselves into this bucket. They're comfortable with historical shopping habits, and aren't ready to do what pundits want them to do. These folks party like it's 1999, if you will! Be very careful if this is your primary source of new customers. Catalog / Online: This used to be a larger segment, but is increasingly fragmented. A 45-54 year old suburban audience seems to skew to this choice. This audience doesn't need 248 pages in the mailbox ... actively test sending 40% of your current page count to this audience, you're likely to get 90% of the demand on 40% of the pages. Test, test, TEST! Catalog / Retail: Less effective than previously believed to be. Even less effective among retail-only buyers. Think about it ... the media has to motivate a customer to get in her car and drive to the store ... and that trip has to be unplanned ... that's HARD to do. What would motivate you to get in your car to make an unplanned trip to J. Crew? Be honest. Online / E-Mail: An increasingly dangerous combination of best customers and discount/promotion fanatics. Reduce catalog pages to this audience ... once the shift migrates from catalogs to e-mail, you can significantly reduce page counts, and reduce frequency. If you have a retail channel, then pay CLOSE attention to the ways that e-mail drives retail traffic, many retailers seriously undercount the impact of e-mail on retail. Online / Search: Search is surprisingly integrated with other channels, whether you know it or not. Catalogs and e-mail cause searches to happen ... spending money on search is increasingly viewed as part of a two-step conversion process. Online / Affiliates: More incremental than previously believed to be, increasingly viewed as part of a two-step conversion process. Surprisingly, customers who purchase via an Affiliate are unlikely to use an Affiliate on a subsequent purchase. 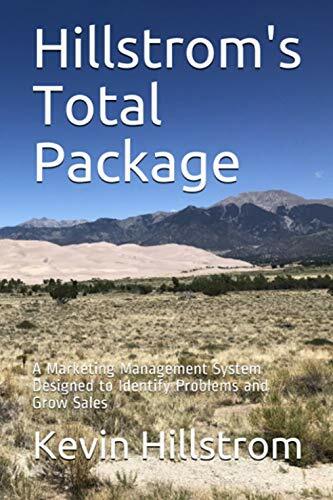 Sales Force: I've yet to run across an instance where assistance from live human beings is anything but transformational, from a long-term value standpoint. A relationship with an actual human being trumps any algorithmic channel-based experience. Relationships with actual, live human beings represents all that social media ever aspired to accomplish. Add humans to your business, as soon as possible! Social: Maybe the least impressive new channel ever created ... while at the same time being the most important channel since the advent of e-commerce. Has almost no impact on annual spending behavior among a 50+ audience, has transformational impact on annual spending behavior among the 13-29 audience. A channel buried in misinformation, hype, and mis-allocation of sales. F-commerce (Facebook) could (or not) thrive as a sub channel (like e-mail thrives as a sub-channel within online). Twitter ... not so much. What we know is this ... what we see today won't be what we see tomorrow, everything will evolve and change. Mobile: Early returns suggest it will be transformational, in the way that e-commerce obliterated the traditional catalog marketing channel. Early returns suggest that this transformation won't happen as fast as the pundits suggest it will. Think of mobile as being in the Explorer/Netscape/Yahoo!/Hotmail/AOL phase that e-commerce was in back in 1998. Generational differences are significant, critical to understanding how to leverage this new channel. Mobile is likely to crush internal org structures, and is likely to cannibalize the living daylights out of the online channel. Expect the mobile/online debate to rage like the catalog/online debate of 2000-2005. Multi-channel: Dead in the water. Multi-channel customers do not spend more than single-channel customer. Go back to 1995, and compare your annual retention rate and annual orders per buyer to comparable metrics in 2010 ... no difference (or worse than 1995), right? Well, how is that possible? I mean, you've added every channel under the sun, and your metrics have not fundamentally changed, right? Adding channels does not translate to sales increases ... actually, adding channels might simply mitigate sales decreases. Knowing demographics/lifestage is more critical, it dictates the effectiveness of channels. Matchbacks: Flawed. Accounting for significant mailing waste. Without a matchback, you're sunk. With a matchback, you're sunk in the opposite direction. Need something "in-between". Catalog PhD sure helps! Fragmentation: This is what the promise of multi-channel became. You'll have a veritable plethora of channels, and customers will self-select themselves into the channel combinations that satisfy their needs ... some will be anchored within a channel (a 63 year old New Hampshire woman anchored in the catalog/telephone channel), some will float between a half-dozen channels (a 32 year old suburban woman in Kansas City). Our job is to segment (i.e. Digital Profiles), then to reduce/increase marketing expense and targeting strategy as appropriate. Our job is not be everything to every customer, while at the same time offering many channels as appropriate ... a tough tightrope to walk.